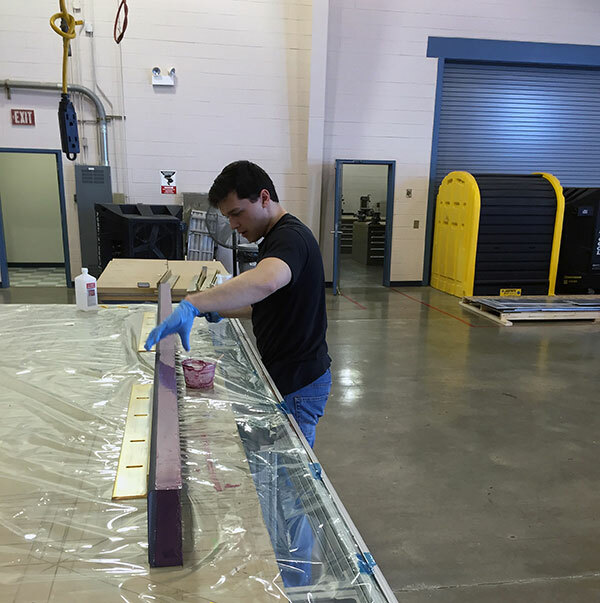 Move On When Ready student Nick Cuneo is an intern for MGA's Institute of Applied Aerospace Research. High School: Bleckley County High School, where he played on the tennis team and participated in drama. Employment: Intern at Middle Georgia State’s Institute of Applied Aerospace Research. Degree Objective: Associate of Science in Physics. Plans to pursue a bachelor’s degree in Aerospace Engineering. Photo: Cuneo at work at the Institute of Applied Aerospace Research.